This ring has been made from a combination of White Gold and Yellow Gold and has a rich colouring with beautiful warm tones. 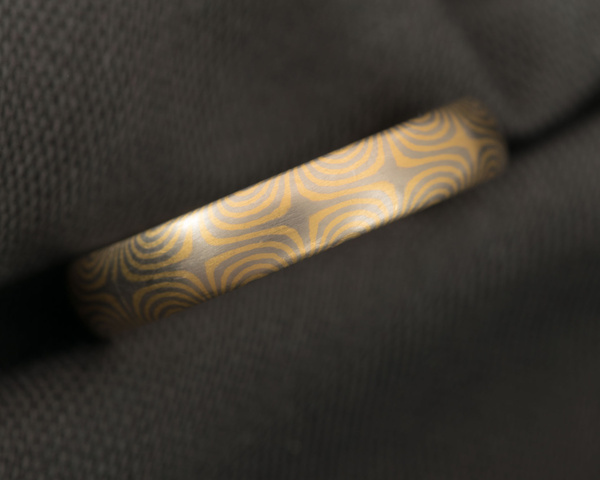 The star pattern adds an entirely different feel to the Mokume Gane. Although more controlled in appearance it is striking and unique in its very own way. Ladies wedding rings in White Gold and Yellow Gold start from £1,090, Gents wedding rings in White Gold and Yellow Gold start from £1,680.